I’ve had a busy weekend with my niece’s baby shower yesterday and an Under 18s Football Grand Final this morning – our club lost 😦 – so I haven’t had much of a chance to play in my craft room. I did however get a chance to make one card for this weeks Retro Sketch Challenge and the theme challenge at Stampin’ Royalty where the challenge is to make a project using patterned paper. It’s a fabulous masculine card Narelle – especially all those more manly touches like the staples. Gorgeous neutral colours too! Beautiful work. 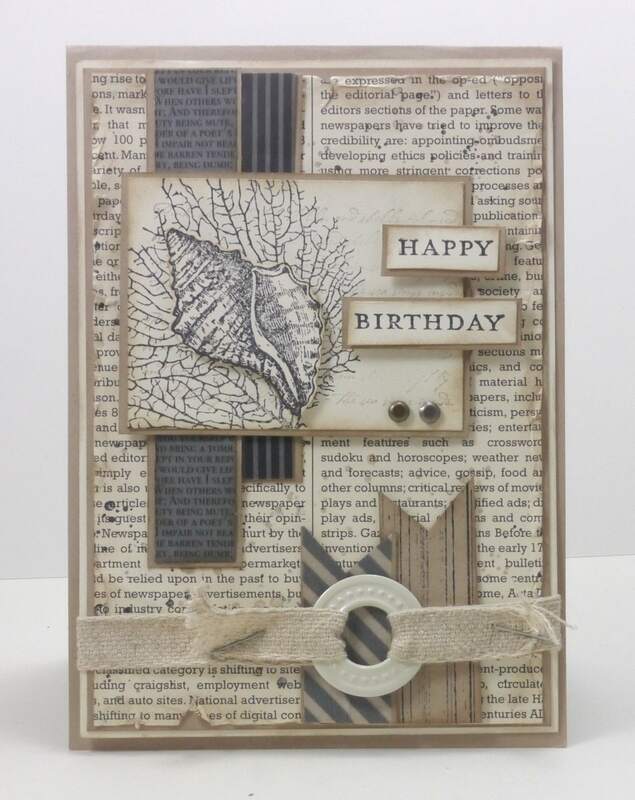 Great use of the patterned paper. I’m so glad you joined us at Stampin’ Royalty this week! Love it. This is a fabulous masculine card. Love how you stapled the ribbon and the nice papers you used. Awesome! Love this card. Out of the flower zone and just as pretty! I really like this card….I will CAS this one! And it is mailable!!!! I agree that man cards are harder to make, so glad I found yours! I needed one and have this stamp set, but wanted a different look. Will be able to improvise to use what I have on hand, but love the layout! Thanks! Great masculine card, love the grommet, ribbon & staple idea. 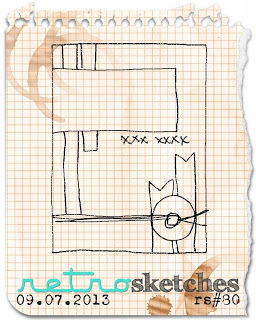 Great take on the sketch – I hope you’ll link up at 52 Card Pickup this week! Great card Narelle – perfect male design and I love the touch with the staples.